Is someone in your family loves to cook? Well, it’s that time of the year when we all reach for the wallet and hit the stores in hopes to find nice and useful gifts for the loved ones. To make things a little easier for you, I want to share some great findings that I’m sure every home cook will love. Many of these items I already own and can confidently say that they make life in the kitchen so much easier. Whether you’re looking to find a gift for parents, kids or your friends, this gift guide will give you some great ideas for inspiration. Le Creuset Dutch Oven. One of my absolute favorite cookwares. It’s so versatile, great for sautéing on the stove stop and braising in the oven. Plus, it’s the prettiest. Kitchen Scales. If the person you’re buying a gift to loves baking, kitchen scales are a must. Most traditional French dessert show the ingredients in grams, so there’s no way to guarantee the precision without scales. A Cookbook Kitchen in France by Mimi Thorisson. I have many European cookbooks, but this one is one of my favorites. I’ve already made quite a few recipes from this book and they all came out absolutely delicious. 12-inch Cast-Iron Skillet. Another often-used cookware that will serve you a lifetime. 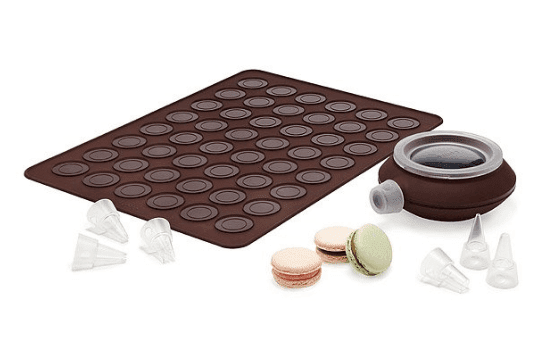 Macaron Kit. Easy to use kit and recipe book that will help you make the perfect French Macarons at home. Black and White Truffle Oils are perfect for adding an incredible flavor to any entree, side dish or appetizer. Instant Read Meat Thermometer is essential to ensure that meat or fish are always cooked to its optimal temperature. 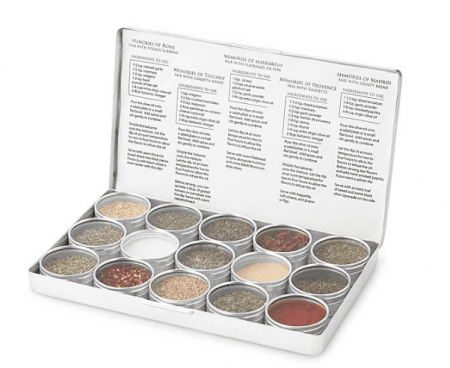 Cuisinart Food Processor – must-have in the kitchen. Think pureeing soups, sauces, shredding and slicing vegetables and so much more. Ceramic Knives – lightweight and durable knives that are great for cutting boneless meat or fish and chopping vegetables. Non-Stick Silicone Baking Mat replaces the need for parchment paper, butter, grease, oils, and sprays. 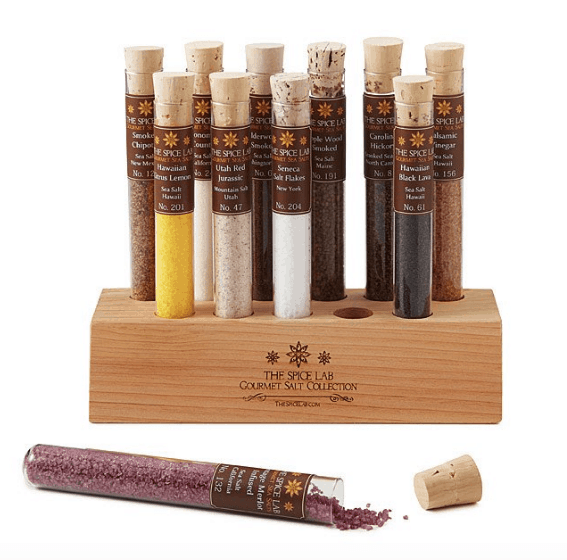 Gourmet Oil Dipping Kit. We bought this as a gift for many friends and everyone absolutely loved it. This dipping kit serves as an appetizer. Just mix the spices with some olive oil, dip the bread in and enjoy. Hi Betty! You can purchase Silpat by following this link https://amzn.to/2PQDNHs. Thank you! :) The dipping kit is one of my favorite things and perfect for entertaining.